We solve temporary modular storage, field office and specialty equipment needs for every market sector. 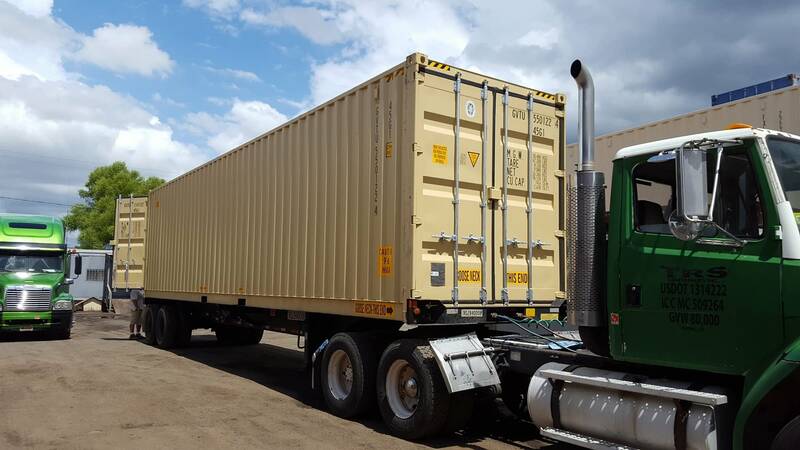 TRS is uniquely qualified to provide containerized equipment solutions that our competitors cannot. Rent dry freight, reefers, diesel generators, flatracks, opensides, highcubes, insulated, and chassis. TRS offers flexible rental periods and reasonable buyout options during the course of your lease. For seasonal business or rapid deployment, TRS can help evaluate if renting or purchasing is the best choice. In cases of natural disasters, technological incidents or terrorism TRS can quickly begin delivery. See our storage solutions and request a quote. Many competitors simply cut a 20ft container in half and install a light roll up door to fill in the gap. TRS does not consider that product suitable for government or industry as it could be vandalized. Containers cannot be dangerously dragged off the chassis. Rent and replace parts such as king pin locks and sandshoes. Repairs and registration services offered. 8-pin locks can carry two 20ft containers or one 40ft container. Main I-Beams are 12” deep and protected with zinc-rich primer with black urethane topcoat. 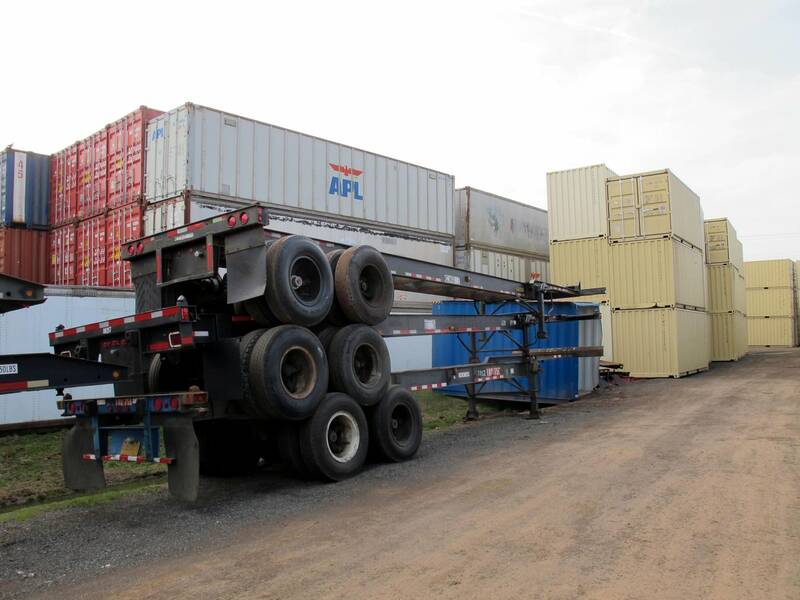 Multiple models designed to transport 20ft, 40ft, 45ft and 48ft long containers. 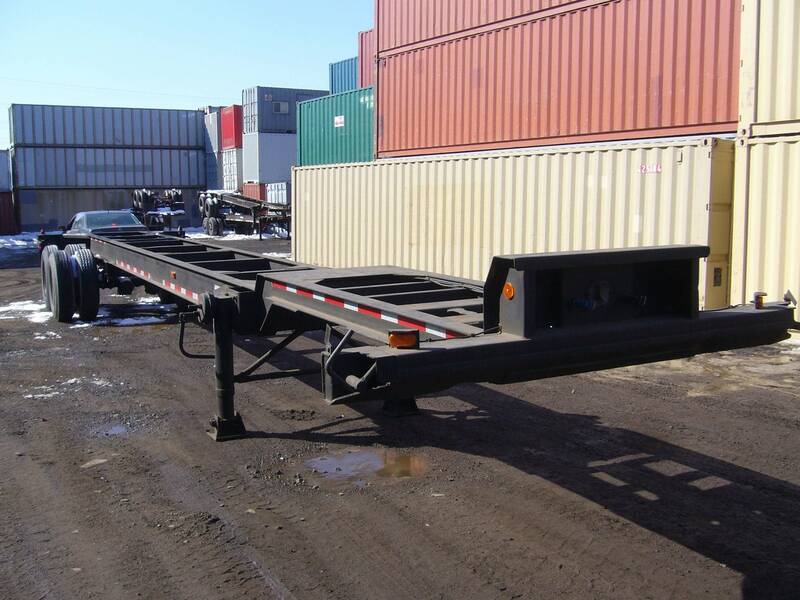 Tri-axles have 3 axles to distribute heavy loads legally. Twist locks on all corners to safely lock in the box. 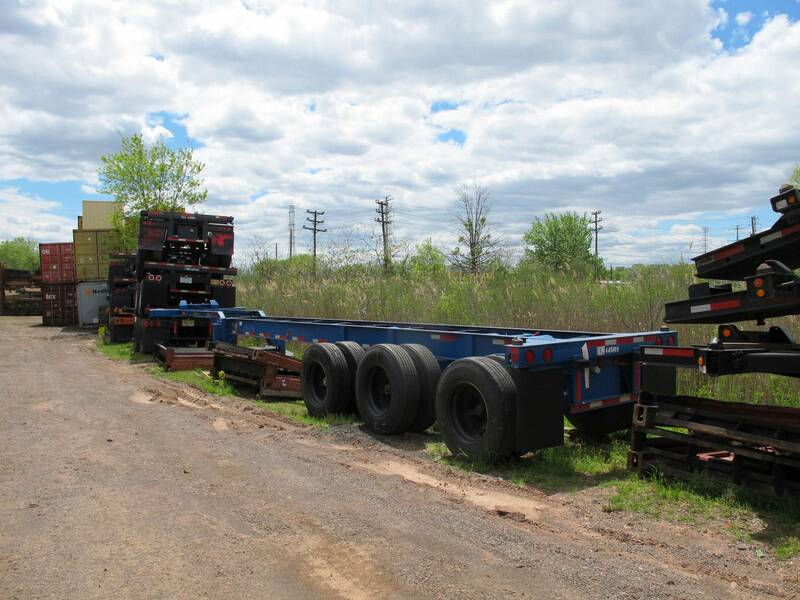 Two or three axles usually available with 11R 22.5 Tires. Require an insurance certificate naming TRS Loss Payee and Additional Insured.